St Michael’s 24 Re-Development Plans. St Michael’s Car Wash facilities. BPme App – The easy way to pay. Fancy winning a Fabulous Malteaser Easter Egg? 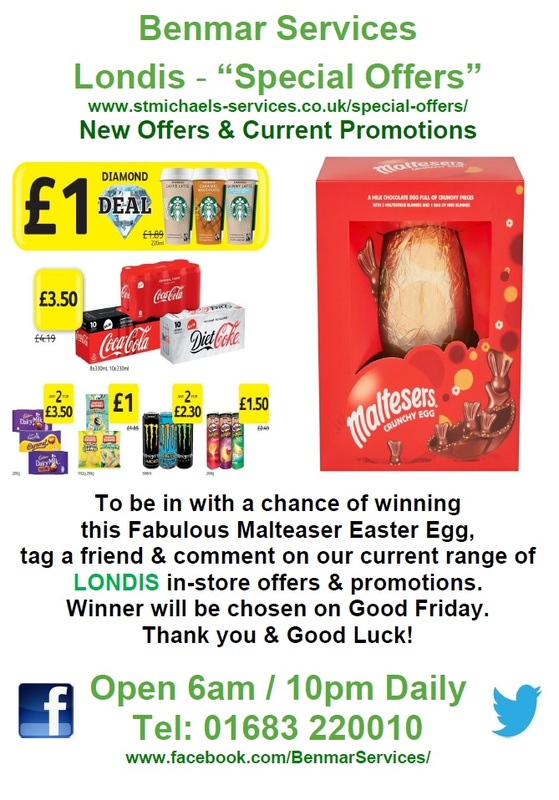 Tag a friend & comment on our facebook page on our new Londis offers & promotions. St Michael's 24 Re-Development Plans. Following our recent post on our facebook page & our website regarding the imminent start to the re-development of our Car Wash facilities, we have to inform our customers that sadly this has been put on hold until late February / early March 2019. St Michael's Car Wash facilities. BPme App - The easy way to pay. Follow the link below and download the BPme App today. Pay for your fuel from the comfort of your vehicle.